The Bechtler Museum of Modern Art has an especially strong collection of art by swiss modernist Alberto Giacometti (1901-1966), and their works keep escalating in value as the artist continues to set new records for sculpture at auction. 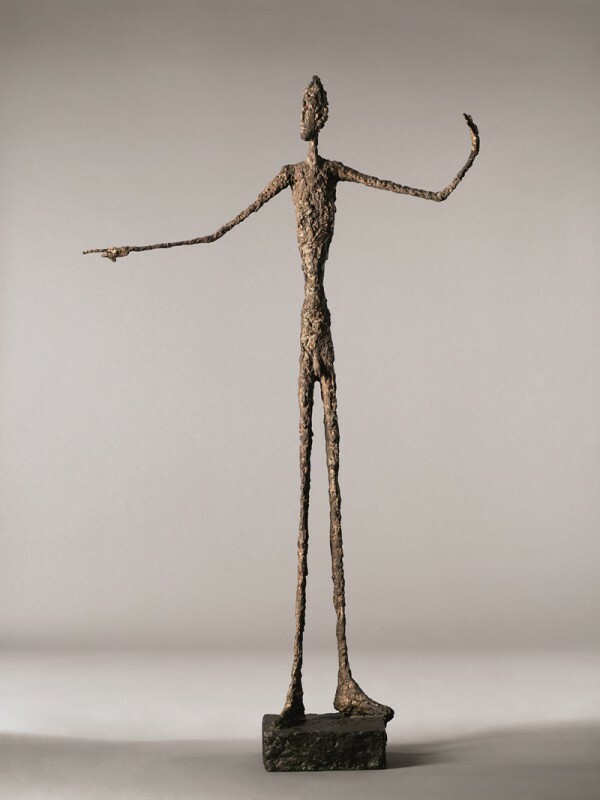 Last month, Giacometti’s Pointing Man (1947), sold for $141.3 million, the most expensive sculpture ever sold at auction. Yesterday it was revealed the sculpture was purchased by American hedge fund mogul Steve Cohen, who also bought a $100.1 million dollar Giacometti (Chariot, 1950) last fall. Here’s hoping those soaring prices can sustain, Steve! Pointing Man, 1947. Bronze with patina, hand-painted, 70 inches tall. 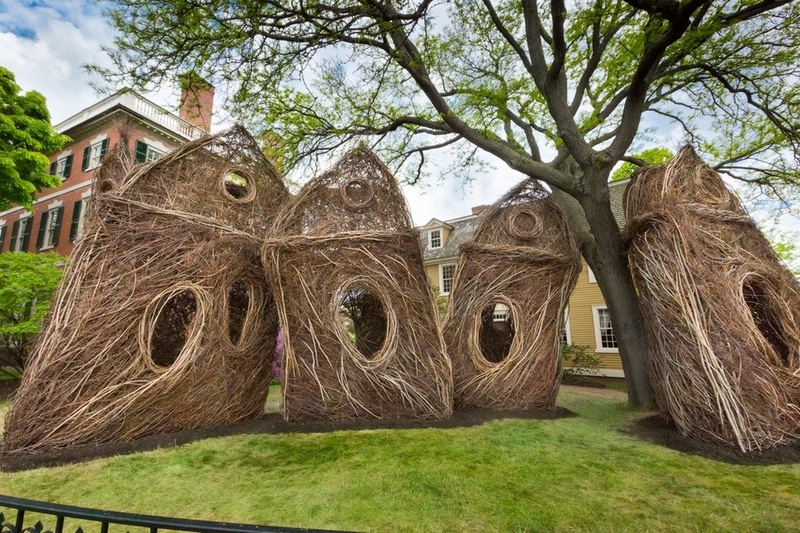 North Carolina sculptor Patrick Dougherty has been creating installations out of sculpted branches, calling them “Stickworks,” since 1982. His newest installation sits on the lawn of the Peabody Essex Museum (PEM) in Salem, Massachusetts and was unveiled a few weeks ago. This temporary site-specific installation is made entirely of saplings and was constructed by a group of about 50 volunteers in the first weeks of May. It is expected to be on view for approximately a year. The PEM, which has a reputation for forward thinking curatorship, commissioned this installation as part of their Present Tense Initiative, which seeks to showcase “the most vibrant creators and critical minds of our time.” We’re glad Patrick made the list! 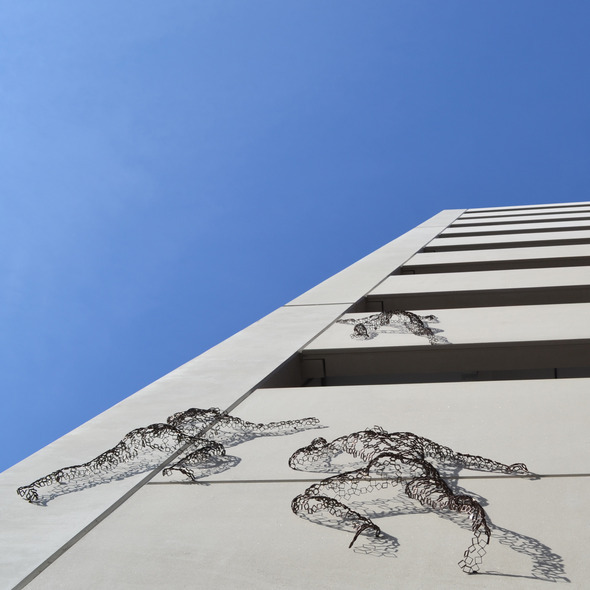 New Gallery of Modern Art shows work by Miami artist Rainer Lagemann, a figurative sculptor working with metal. He just sent out a blast email about a commission completed on a parking garage in Detroit featuring three bodies scaling the exterior. The image has really stuck with us and has us wondering if Charlotte would ever be ready for something like this. Until then, we’ll keep visiting Irina at the New Gallery!